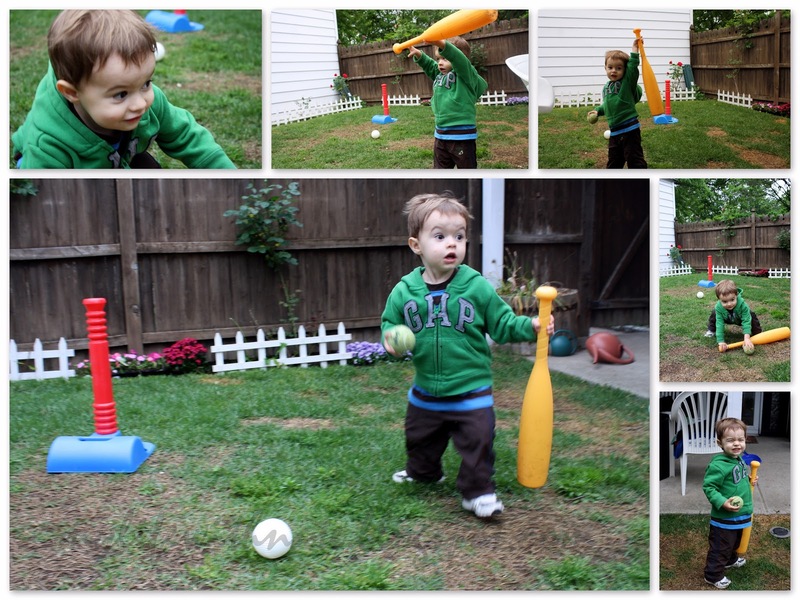 Nater Tot: Let's play ball! We spent a sizable chunk of time yesterday playing baseball with Nate's t-ball bat and a soggy tennis ball. Nate pitched and I batted. It worked out well since I also have the baseball skills of a two year old. He eventually decided it would be best if he pitched and batted.